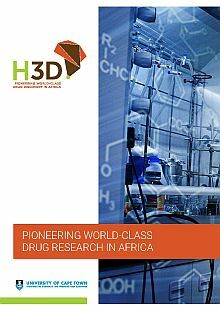 This week, we were fortunate to catch up with Professor Kelly Chibale, Principal Investigator at the University of Cape Town, founder of Africa’s first drug discovery and development centre, H3D, and one of the speakers at our #ScienceAfrica UnConference this year. Professor Chibale spoke eloquently about his efforts to create novel medicines to combat the major diseases in Africa as well as his concerted advocacy for greater investment in hard scientific infrastructure. The University of Pretoria (UP) will host its first Community of Practice (CoP) focusing specifically on Malaria Elimination in the UP Institute for Sustainable Malaria Control (UP ISMC). This NRF initiative endeavours to provide ‘vehicles to enable the implementation of integrated trans-disciplinary and multi-disciplinary solutions to address societal challenges and to ultimately bring change to the lives of South Africans. Postdoctoral research fellow Dr Mathew Njoroge at UCT’s Drug Discovery and Development Centre (H3D) recently returned from the 67th Lindau Nobel Laureate Meeting in Germany. The annual scientific conferences have been held in Lindau since 1951, bringing together Nobel laureates and young scientists to foster scientific exchanges between different generations and cultures.